FINDOLOGIC offers the possibility to use A/B testing, so you can test the search of FINDOLOGIC in comparison to an alternative search engine. 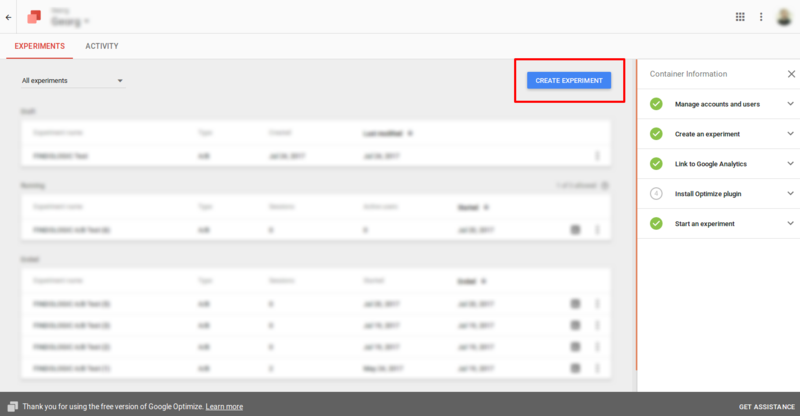 By doing this you can easily compare metrics like revenue, bounce and many more between FINDOLOGIC and another search. Google Analytics is running properly. 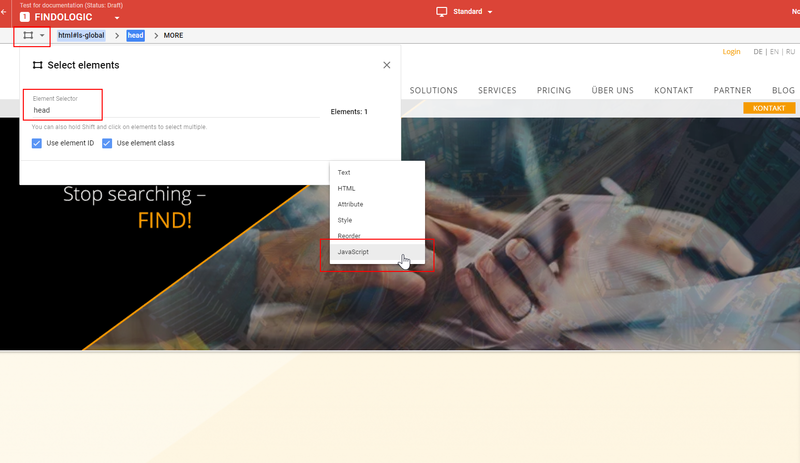 We recommend using Google Optimize and Google Tag Manager and the following documentation will show an example implementation using these tools. Direct Integration is required to be able to do A/B testing. 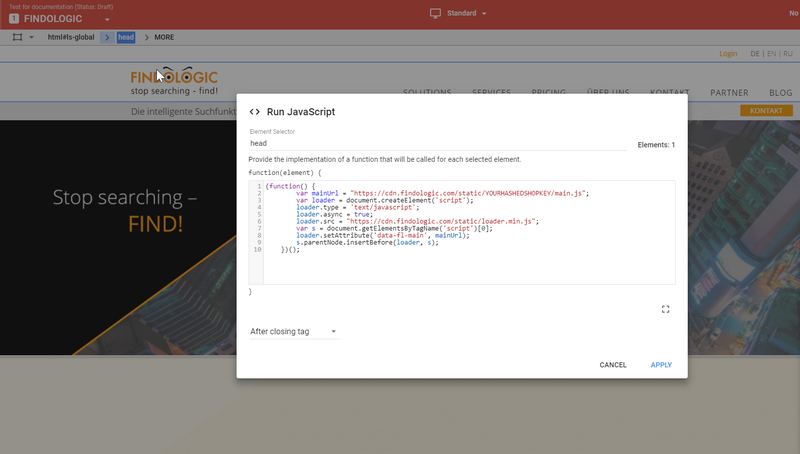 Do not implement the FINDOLOGIC snippet into your source code (neither via plugin nor in the shop template). This is the NO FINDOLOGIC segment. Create another segment in which you insert the FINDOLOGIC-snippet. This is the FINDOLOGIC segment. 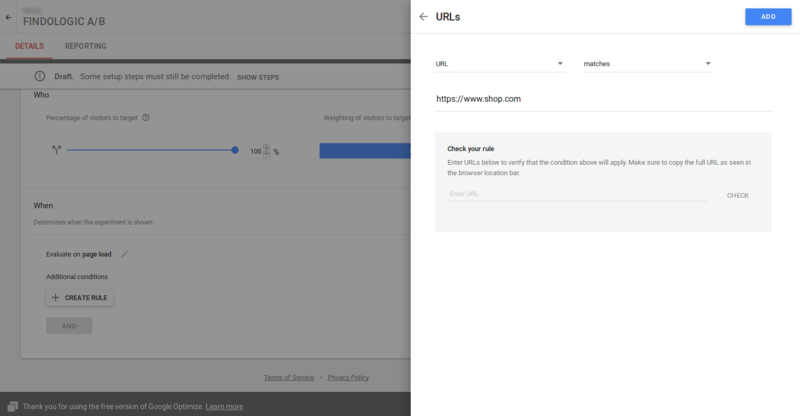 Make sure that you have the Google Optimize Snippet implemented directly in your shop or that you insert it via the Google Tag Manager. Find more information about this topic at the Google support. Name: Does not matter, can be set to anything you like, e.g. FINDOLOGIC A/B. After those values are set, click on Create. 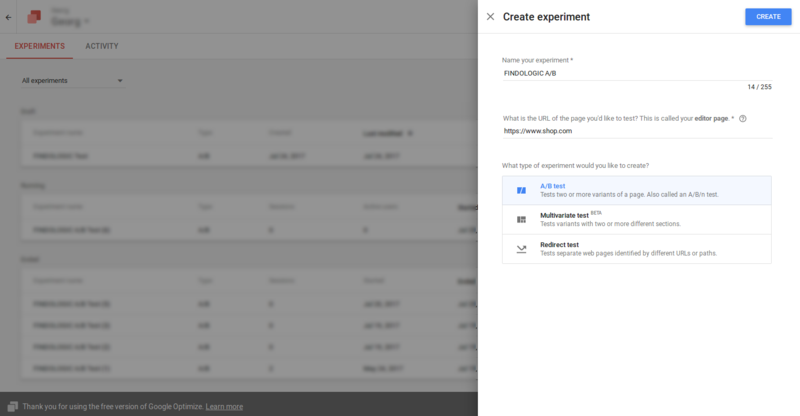 In your A/B test, open the tab Targeting and click on the pencil next to Evaluate on page load. After those values are set, click on Done. After this value is set, click on Add. 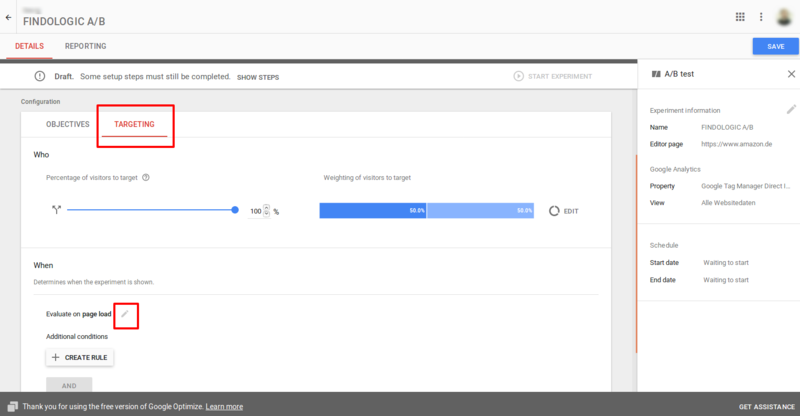 In your A/B test open the tab Objectives and select some objectives. Open the variant FINDOLOGIC in the editor. Make sure the Google Optimize extension is installed in your Chrome browser. Next up select the head element, by clicking on the rectangle left at the top of the page and type head in the input field. In the dropdown at the bottom, choose After opening tag and click on Apply. Last but not least, click on Save and Done to save the variant.